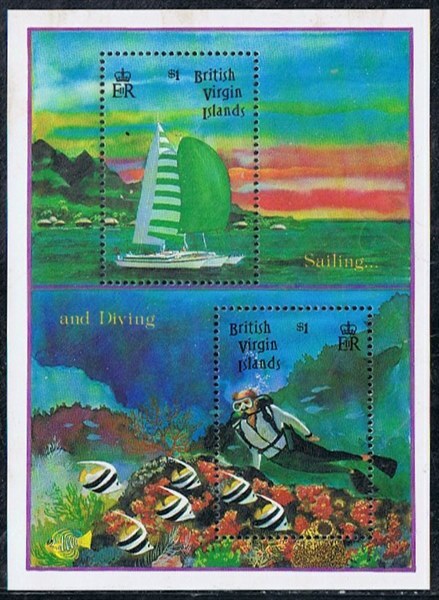 British Virgin Islands issued in 1993 three stamps and a miniature sheet, which shows us yachts under sail in the waters of the British Virgin Islands, only the trimaran on the MS is identified as one of the PROMENADE type trimarans built from 1979 – 2001. Accommodation for 10 guests in 5 cabins. Auxiliary engine, a 45hp Perkins engine. 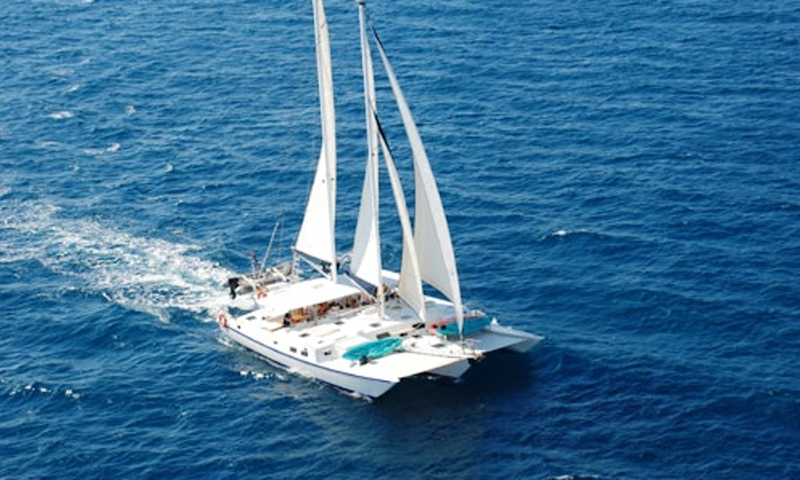 2018 You still can charter “promenade trimarans” for cruising in the waters around the British Virgin Islands.